Brossa was a pupil of Vincent Louis Dorus at the Paris Conservatoire winning a first prize there in 1865. Whilst in Paris he often performed with celebrated French flautists, Donjon, Walckiers and Taffanel. 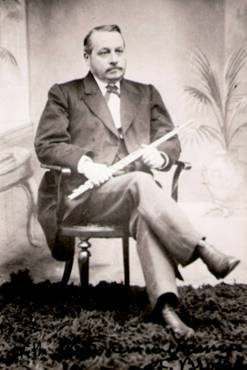 Moving to England in about 1870 he spent a short time performing at the King’s Theatre, Newcastle and other venues before being appointed Principal Flute in Hallé’s orchestra. Brossa remained with the orchestra for 29 years retiring in 1900. He was flute professor at the Royal Manchester College of Music, 1893 – 1906. 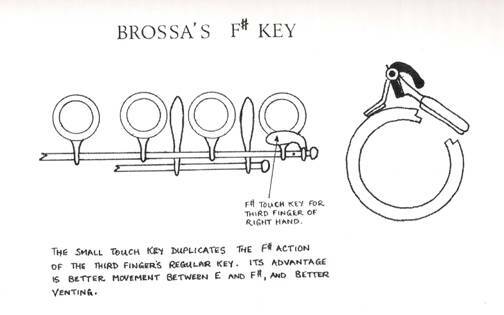 In the 1890’s Brossa worked on and perfected a small touch key device for use by the third finger of the right hand and is still found on many flutes in use today. The year 1895 seems to be the earliest recorded sale of a flute with his F# key fitted, the work being carried out by Schumacher at Rudall Carte & Co.